EmDrive was initially introduced by British scientist Roger Shawyer in 1999, based on the theory of special relativity, electricity transformed into microwaves and fired inside a closed cone-shaped cavity makes the microwave particles to apply more force on the flat surface at the big end of the cone (i.e. there is less united particle momentum at the narrow end due to a reduction in group particle velocity), in so doing generating thrust. Many researcher claimed that it impossible to work and due criticism this idea went off the news for years. But even after years of being mocked by the international scientific community, Roger Shawyer and the EmDrive unexpectedly rocked back into the news in 2015. 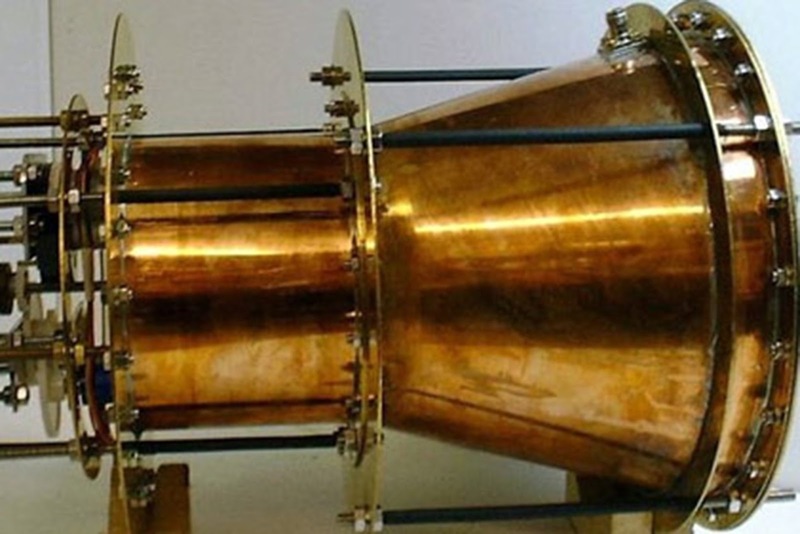 And if this actually turns out to work, EmDrive could reach Pluto in only 18 months. Learn more about this here. Well if this turns to be practical and workable, it’s going to be the next huge mile for space exploration.